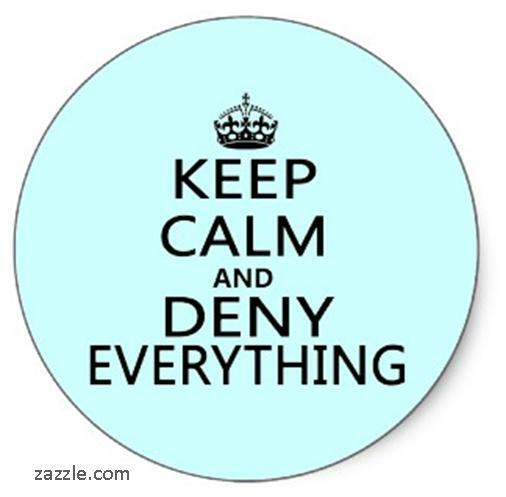 This is where I am today – living in denial. I’m due with my third baby tomorrow, and while the contractions are taking my breath away, to be honest they haven’t organized themselves into a definite pattern yet, and I really can cope, and they really are not that bad. – Febuary 1st, 2011. The above quote is from a post I started writing in early labor. I didn’t finish the post. I decided instead to go for a walk around the forest behind my house and through the neighborhood, a walk that takes 20 minutes on a normal day, but took an hour that day. I kept having to stop, and hold onto a tree or lamp post, and breath through the contraction, gazing on the beauty of the world around me that misty wintery day. By the time I’d circled back homewards, I phoned my husband to come back from work and called my midwife – I could no longer live in denial, I knew I was in labor! My son was born by 5pm, that same day, at home. You can read the full birth story here. 1: You end up focusing on the pain later, so your threshold is reached later. When I walk into a birth space and find the mother focused inward and breathing deeply through contractions, yet find that the contractions are either far apart, lasting much less than a minute or still unevenly spaced, then she might be using her coping strategies too early. I adore Hypnobirthing, but even using Hypnobirthing too early can mean exhaustion is reached after X number of hours, and that the techniques for coping with pain are sometimes “used up” by the time real, intense labor hits. Mom has tapped those resources, and reached the end of her rope before that rope was even needed. If you save your coping techniques and use them later on in labor, when things are so intense you can’t deny them anymore, then you still have those cards to play when you need them! 2: That old adage, a watched pot never boils? It is so true. Tension and anxiety produce the cortisol hormones that are not beneficial for labor. I know, the moment we tell you to “relax” and “enjoy yourself” and “don’t let yourself get stressed”, that just causes more stress! Man, how hard it is to convince yourself to not be stressed! Impossible. Instead, I encourage moms to look away; to plan a fun date or dinner or event to attend for their due date, and another for the day after. If you are looking forward to hanging out with friends or seeing that great movie, or going swimming with a girlfriend, or getting a pedicure with that cute niece who idolizes you – then you will be looking outwards and not meditating on inward frustrations. Bonding with other people encourages oxytocin – an essential labor hormone. There is an excellent idea in the comments section of this bringbirthhome post, where the mother looked over wedding photos and read old letters with her husband in early labor. The mother got a great dose of natural oxytocin through that beautiful bonding experience, which enhanced their labor process. 3: Lying to yourself WORKS. I was listening to a podcast about lying by Radiolab the other day (the third story on the podcast, the most interesting bit starting at minute 8) and I got so excited! I’ve used this method for such a long time, and never realized that researchers have identified the benefits of living in denial. Apparently, the happiest people in the world are the ones that lie to themselves, rather than focusing on the negative side of things. This approach works for many aspects of life: a simple example is how I coped with living for years in a hot country like Israel, after growing up in Alaska. We didn’t have any air conditioning for most of the time we lived there, and even our car was air-con-free. To cope, I would first: cross the street in order to walk on the side with the most tree shade (taking practical steps!) Two, I would tell myself, “Wow, it’s not nearly as hot as I expected today. I thought it would be worse! I’m just fine. Easy.” I find that these same words work well in labor as well. The language we choose to use, even aimed at ourselves, is a powerful weapon. Let me assure you; when you are in active, full blown labor, you CANNOT POSSIBLY deny it any longer. You will know. Full on active labor takes all your concentration, all your focus. It cannot be ignored. So when you reach that point, forget living in denial – welcome to labor land. And you will be meeting your baby soon! Does the thought of living in denial make you feel nervous? How can you know that you are not staying home too long, and want to know when to go into hospital? Read How Dilated Am I?